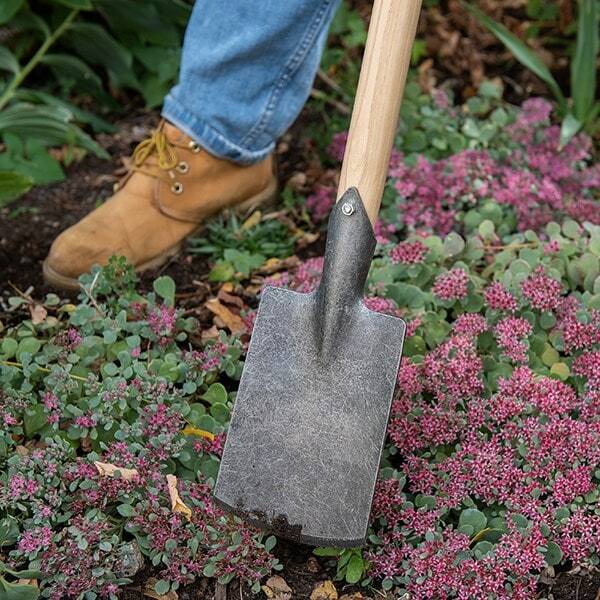 Buy De Wit small spade with long 'T' shaped handle: <ul><strong><li>Dig in small spaces while standing</li><li>Forged carbon steel with a solid ash handle</li><li>Lifetime guarantee</li></strong></ul><br>Dig in tighter spaces like flower beds, veg rows and borders without having to kneel or sit with this De Wit long-handled spade.<br><br> The lightweight head is hand-forged from tough carbon steel with a sharp rounded edge for superior soil penetration. 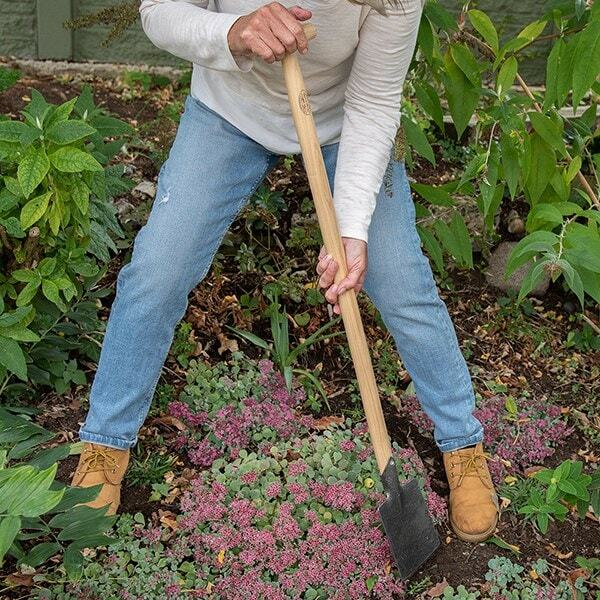 Its smaller size allows you to effortlessly plant perennials in smaller areas, while the long ash T-handle allows you to work comfortably while standing up.<br><br>As the handle will naturally shrink over time, a locking nut fixes the head in place - letting you simply re-tighten it to keep the spade solid and strong.<br><br>Easy to carry around the garden, the spade is a great lightweight alternative to a traditional garden spade for working in smaller areas.<br><br>Measurements:<br>Head 11cm x 17cm<br>Total length 96cm<br><br><strong>About De Wit tools</strong><br><br>The Dutch are renowned for making the world’s finest garden tools, and De Wit is the most respected name of all. Founded in 1898, the family-owned toolmaker combines old-fashioned quality and craftsmanship with innovative design to create superior tools that last a lifetime.<br><br> Every tool is hand-forged in the Netherlands from tough boron steel - shaped, sharpened and burnished for durability, giving it the same blackened patina as traditional Edwardian tools. Each is fitted with an FSC-certified solid ash handle for ultimate strength and shock resistance, oiled to provide first-class protection against the elements.<br><br>All De Wit tools come with a lifetime guarantee against manufacturing defects, making them a truly once in a lifetime purchase. 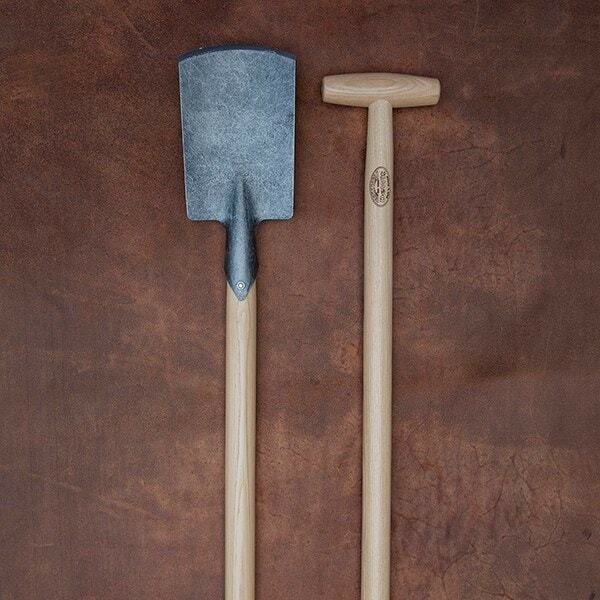 Perfect size for so many jobs which are too big for a hand trowel and too precise for a spade. Very light, but very robust.